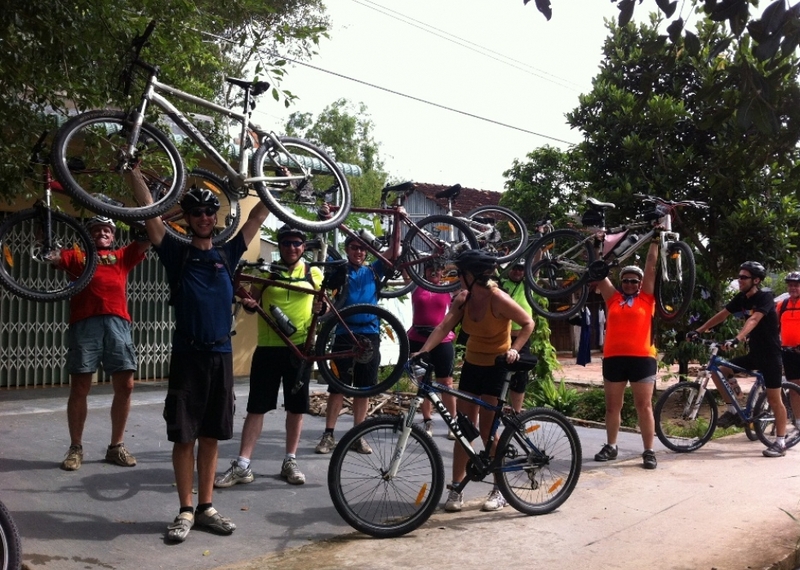 Summary : Cambodia cycling designed a 15-day cycling tour to adventure the difference cultures of Cambodian people in particular province and its heritage sites. Phnom Penh with Mekong cruise, homes-stay in Kampong Speu province, visits the oldest city of Cambodia in Angkor Borei and Phnom Da, trekking in Bokor Hill, Beach holiday, and proceeds to Siem Reap via Battambang province. Upon arrival, transfer to hotel for check-in with our guide. Lunch not included. 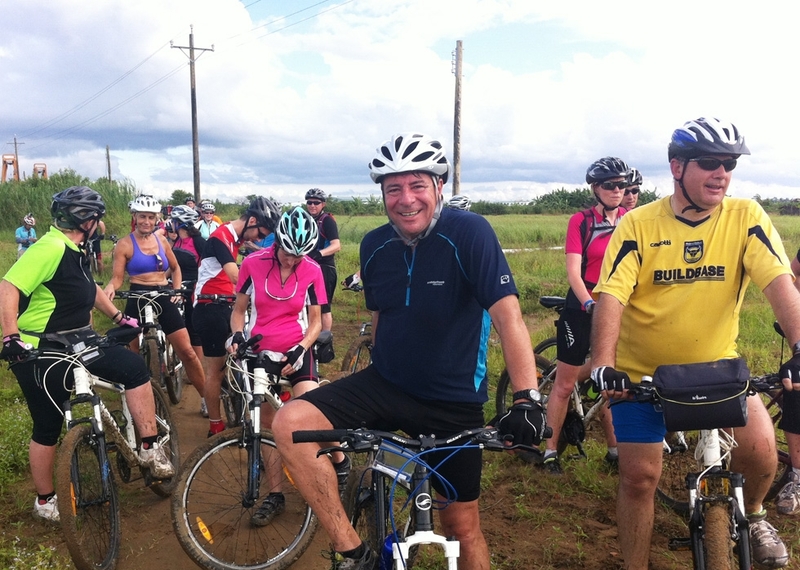 Today we won’t cycle as it’s not great fun in a busy city like Phnom Penh. Visit the Tuol Sleng Prison Museum and the notorious ‘Killing Fields’ of Choeung Ek. This visit will give us a deep insight into the painful bloody rule of the Khmer Rouge. We have time to explore Psar Toul Tom Pong, also called the “Russian Market”, where anything and everything is for sale. Breakfast at hotel. 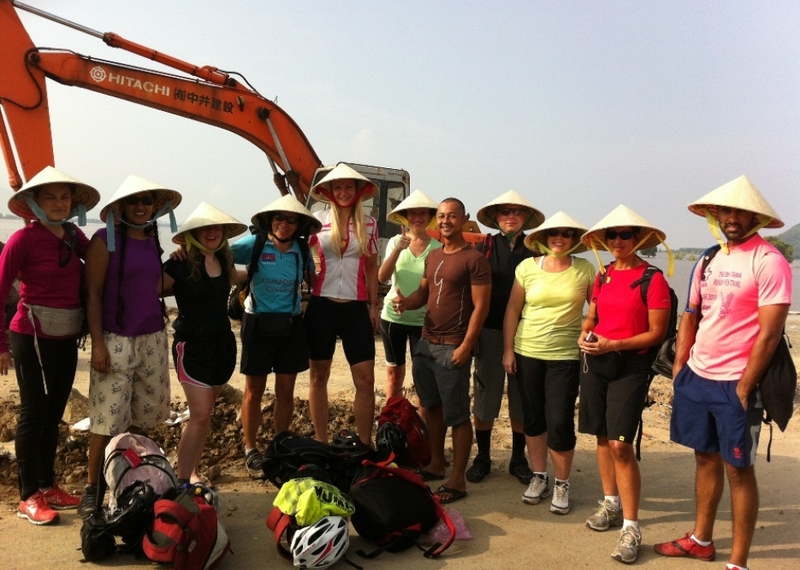 Cycle to the Mekong Islands and visit weaving villages and observe daily activies. After lunch take the boat back to Phnom Penh to see The private quarters of the Royal Palace, now home to the royal family and very close to the public. At the northern area of the palace grounds is Silver Pagoda, the most sacred shrine in the country. The next stop is the National Museum, exclusively dedicated to Khmer art and sculpture. The majority of the exhibits are from the Angkor period from the 9th to the 15th centuries, but some date back from as early as the 4th century. Breakfast at hotel. Transfer in our van to Wat Sleng where we will start cycling on a back road westward to Ksach Kandal. 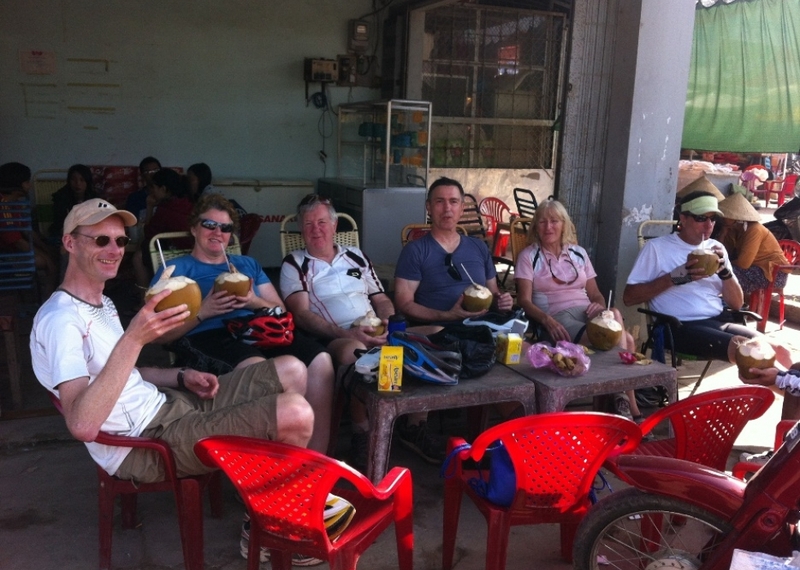 Continue cycling to Kampong Speu town to have lunch at a local restaurant. Continue cycling along rural villages to Boset district to spend the night at a home-stay. On arrival, the villages will welcome you. Enjoy dinner with them. Breakfast in a local restaurant. Start the cycling journey with a short cruise to Angkor Borei town, located just a few kilometers away from the Vietnam border. There is a small museum that displays several reproductions of sculptures from the nearby ruins and a few artifacts dating as far back as the 4th century. After seeing this pleasant place, we will continue our boat trip to visit the pre-Angkorian style temple of Phnom Da and the nearby temple of Asram Maharosei. The steep path over some big rocks makes Asram Maharosei different from other temples in Cambodia. Proceed to kep city by support van. Breakfast at hotel. Today we will have a 30km trekking tour to the top of the Phnom Bokor Hill. Our driver will take us from Kep to the foot of Bokor Mountain and then we will start trekking up for about 3 hours through the jungle, visiting a the ghost town and a waterfall. Lunch will be provided on site. After lunch we will go down from the hill through a different road to take the boat and view the sunset from this traditional boat. Breakfast at hotel and start cycling through the countryside of Kampot Province, visiting the salt fields, one cave in Phnom Chngock Mountain and a pepper plantation. After lunch in Kampot town, transfer to Sihanouk Ville. On the way we will stop to take a boat cruise along the Mangrove forest in Ream National Park. Breakfast at hotel and free time. You can just relax on the beaches, swim at the hotel, have massage, hire a local boat to visit some islands, ride your bike along the beaches or visit local markets and pagodas. 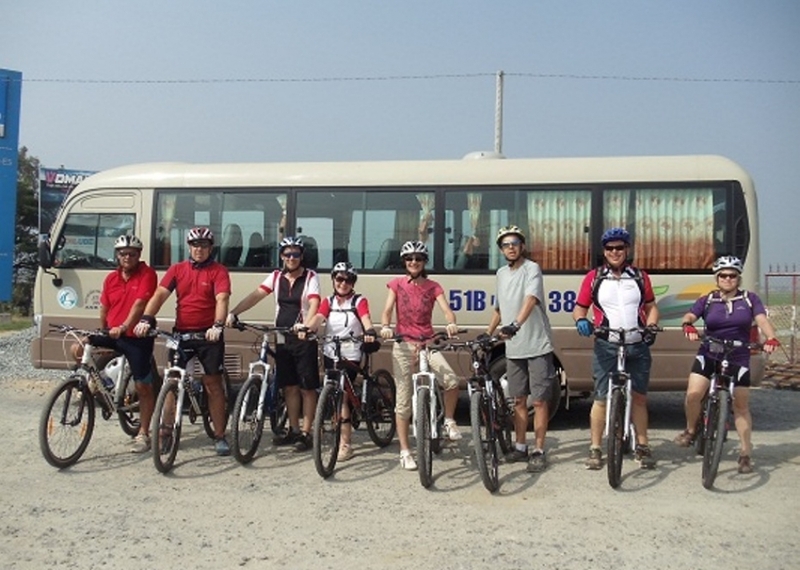 Our guide and driver are always ready in case you want to do more cycling or plan an excursion to the islands. Breakfast at hotel. Transfer with the van to Kirirom National Park. Start cycling from the foot of mountain up to the hill, a long way to enjoy the view over the jungle and breathe fresh air. 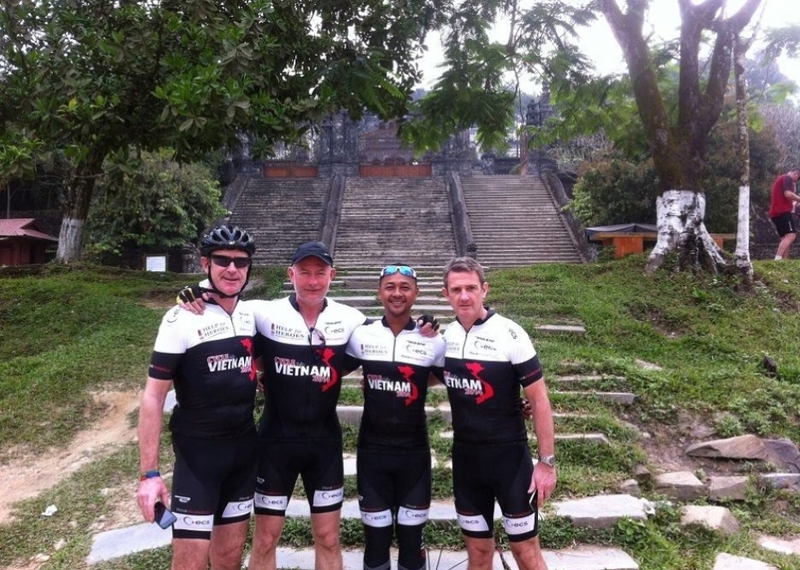 Arrive at the top and keep cycling to the highest hill to view the jungle and the mountain range. Visit the former residence of King Norodom Sihanouk and a waterfall. Picnic lunch will be provided on site. Later we can enjoy a swim in the waterfall. 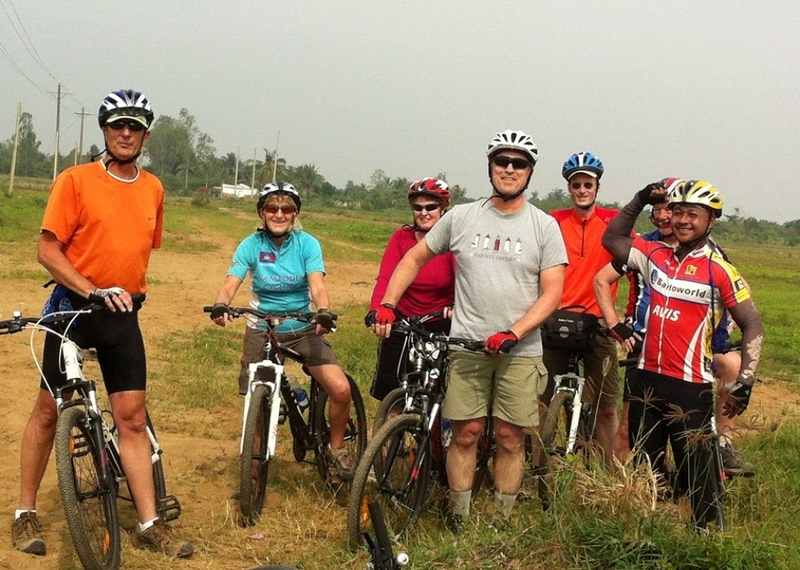 Cycle down the hill to Cham Bok Eco Community Village to spend the night. Breakfast at hotel. 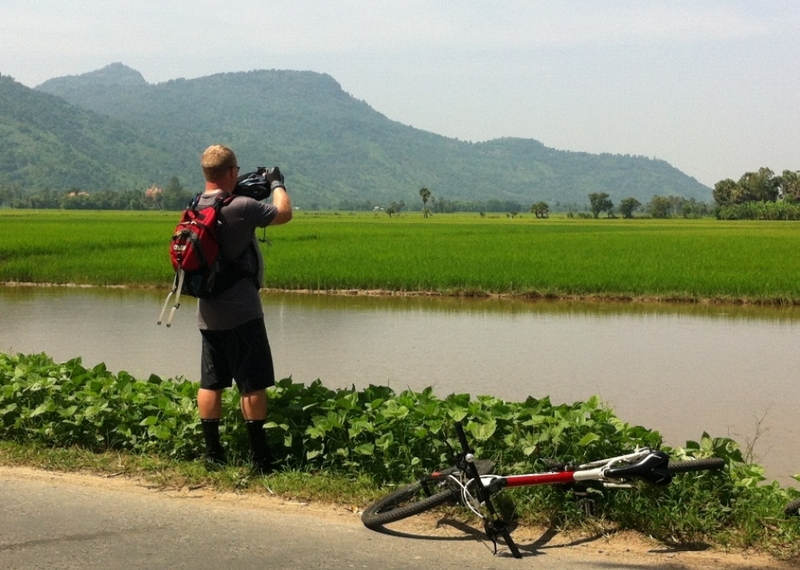 Cycle along the countryside: rice paddies, a lively market many Angkorian as well as post Angkorian sites like Wat Ek. Enjoy the bamboo train in the afternoon before heading back to the hotel. Breakfast at hotel. Cycle along the Stung Sangke riverside for 15km and take the boat to enjoy a cruise to Siem Reap through the great lake of Tonle Sap. The journey is very exciting and we will visit Wat Cheur Kmao, Preak Toal Village and Chong Chneas Floating Village in the way. 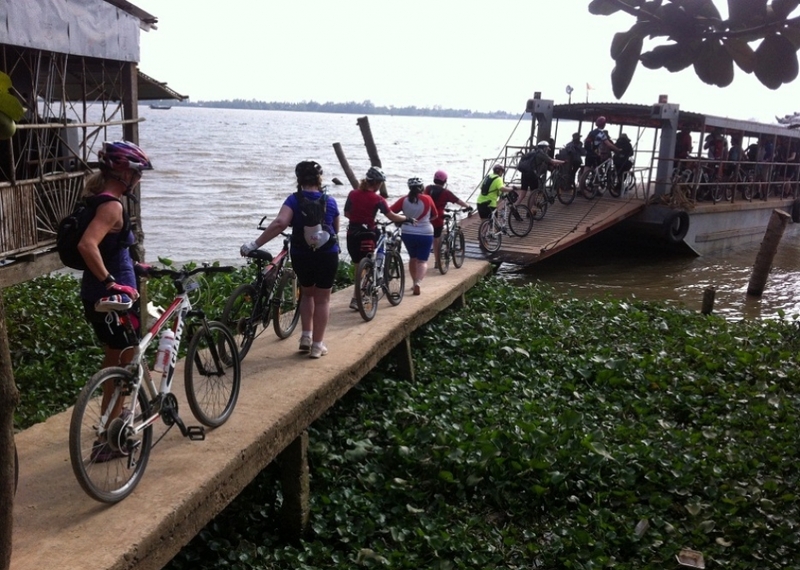 Once in Siem Reap boat pier, cycle for another 12km up to town. The Angkor Temples are now very busy, so our cycling will start early in the morning (at about 6.30) to avoid the crowds before breakfast. Visit Angkor Wat Temple. A breakfast box will be provided in a the local restaurant in front of the temple. After breakfast continue cycling to the West Gate of Angkor Thom, visit Bayon Temple, the Terrance of the Elephants and proceed through the Victory Gate to visit Ta Nei temple and the jungle temple of Ta Prohm. Lunch will be provided at a local restaurant. Head back to hotel and visit the Kravan Village on the way, where you can see the locals crafting small souvenirs and doing daily activities. Breakfast at hotel. Enjoy some free time to do some shopping, swim or have a massage until the transfer to the airport for departure.